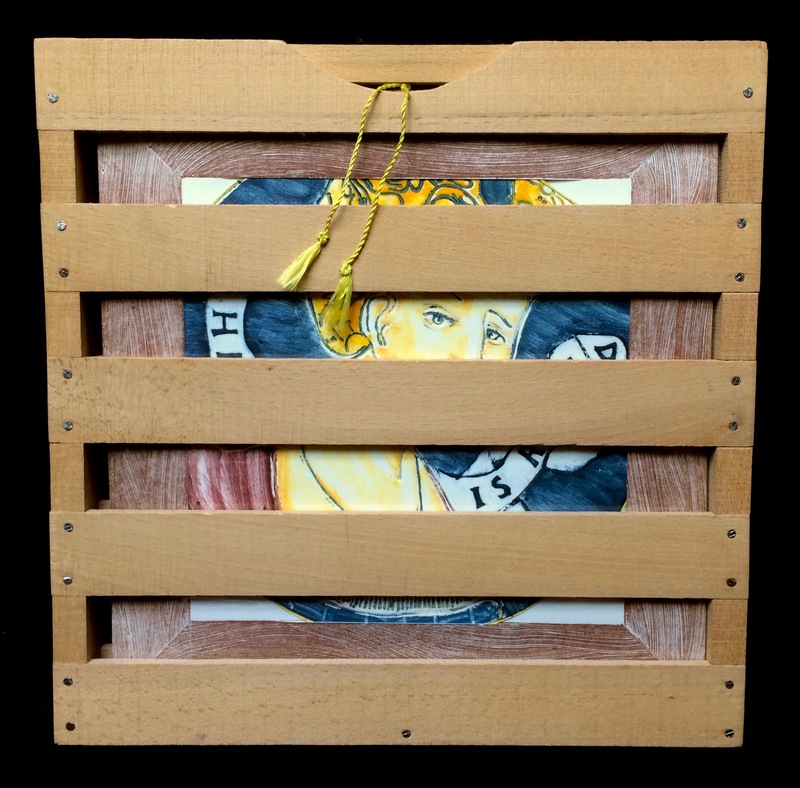 This book presents itself in a narrow wooden crate suitable for shipping glass or china, with faces peeking through the slats on both sides. A yellow cord with tassel hangs down over one facade. The top edge of the crate is hinged, and upon opening it, the cord may be pulled to extract the “menu” or colophon. The rest of the work consists of six round collagraphs, which slot into two sets of paper triptychs resembling wooden cupboards. The brown frames of the cupboard are also collagraphs. The six plates may be removed from their triptychs, revealing a handmade triangular brass hook at the top of each, which allows the plates to be displayed individually on a wall. 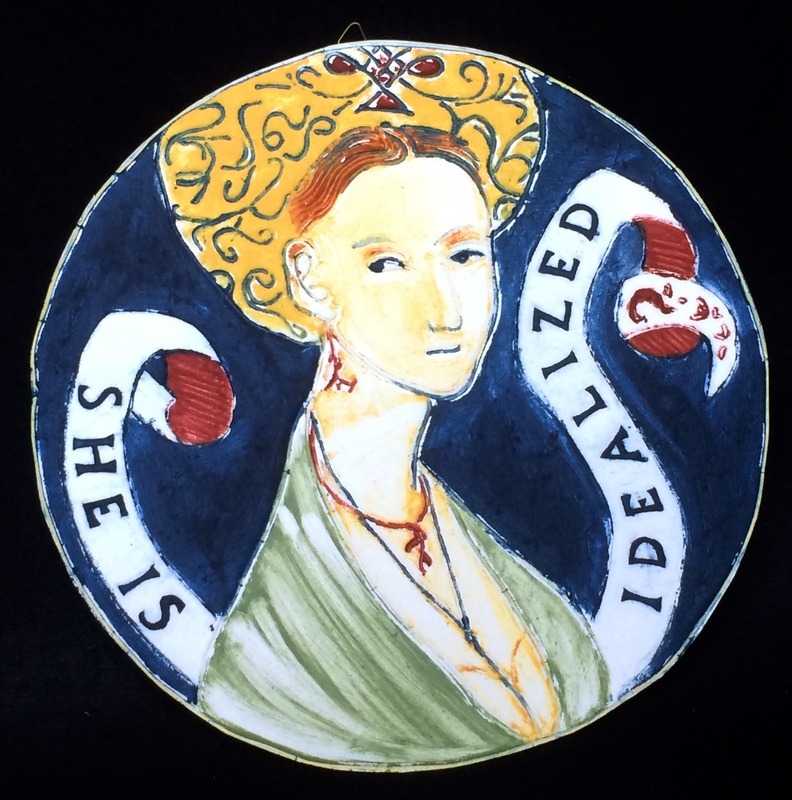 The invented text describes the plates, which were not realistic but idealized portraits or caricatures of the women. The portraits reflect the styles of dress influenced by court life in each area, and the styles of local artists. These plates were not destined for daily use-they were decorative dishes presented on special occasions such as courtship, engagement, and marriage. 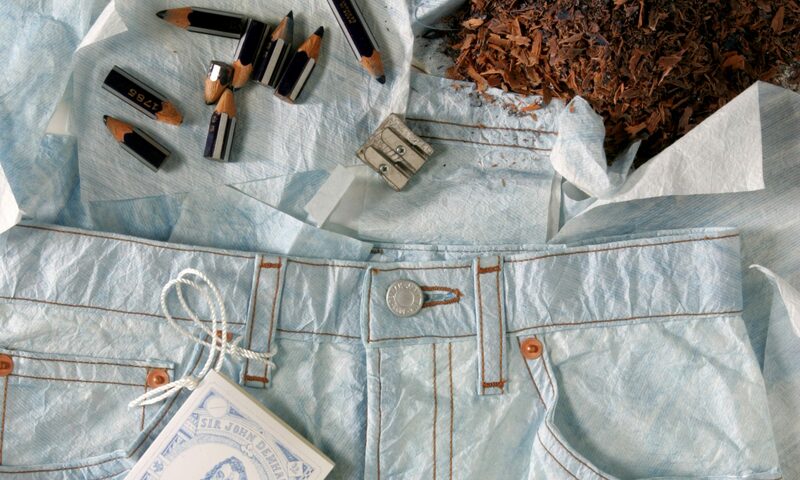 They were not disposable like the paper plates of today, and neither were the images of women, as fashion changed so slowly during those centuries. It was common for the women to be portrayed as buxom, often with low-cut garments, simple jewelry and head coverings. 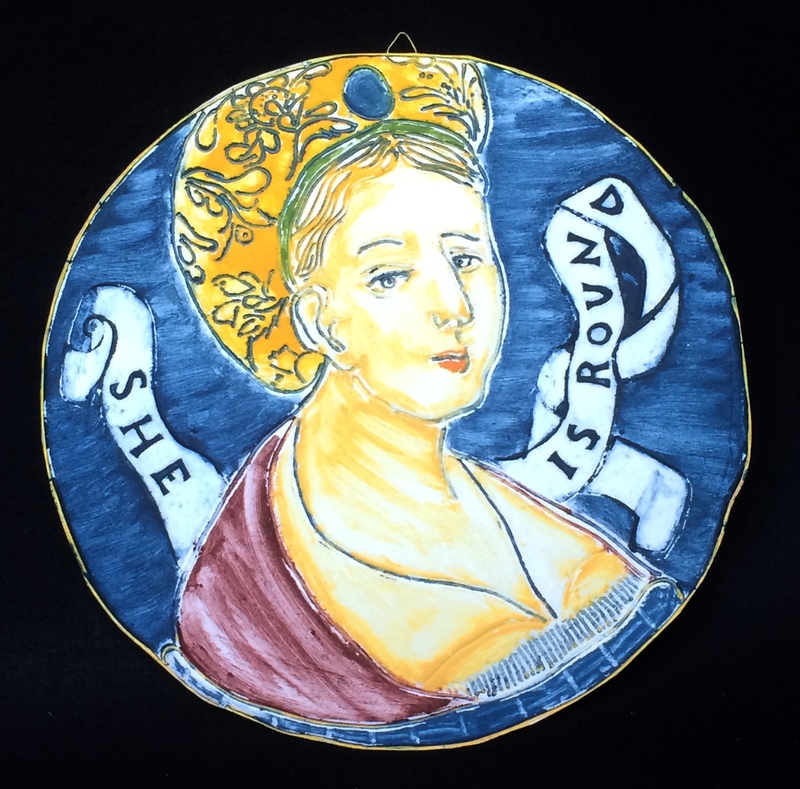 The ceramists copied the images from etchings available to them. 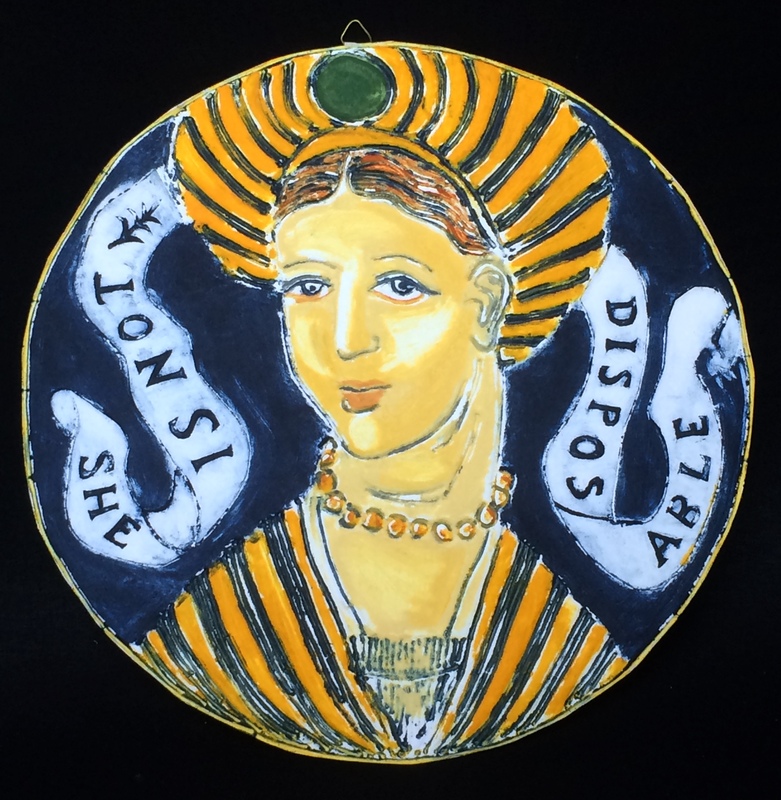 These images started as prints, became ceramic plates, and return to print form once again, as paper plates. The colophon was printed by Stamperia Valdonega in Verona, Italy on archival paper produced by Cartiere Fedrigoni. 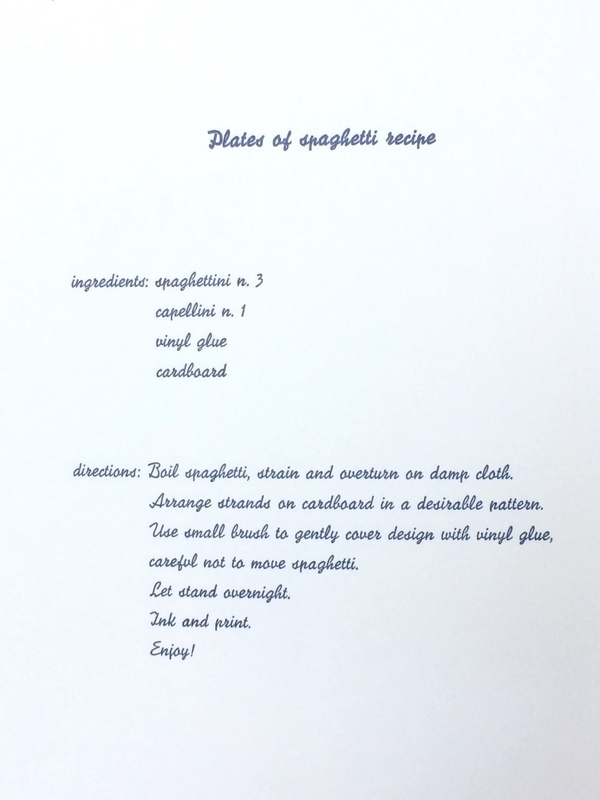 directions: Boil spaghetti, strain and overturn on damp cloth. Arrange strands on cardboard in a desirable pattern. careful not to move spaghetti. 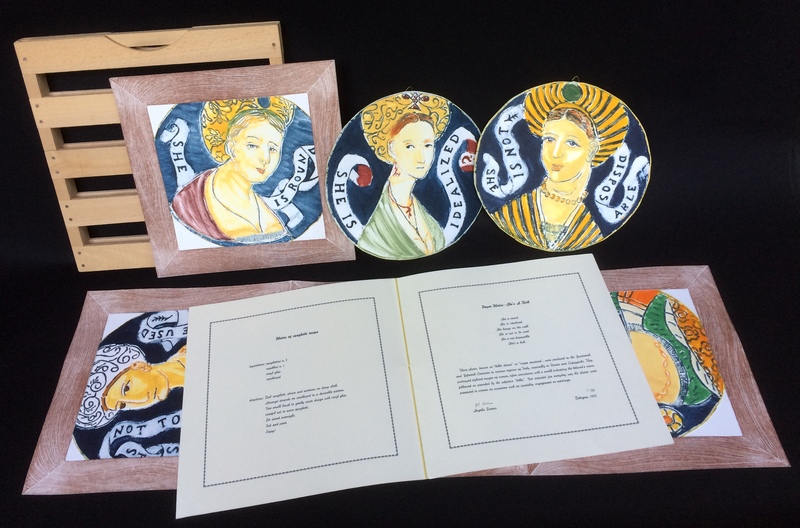 These plates, known as “belle donne” or “coppe amatorie”, were produced in the Fourteenth and Fifteenth Centuries in various regions of Italy, especially in Deruta and Cafaggiolo. They portrayed stylized images of women, often caricatures, with a scroll indicating the beloved’s name, followed or preceded by the adjective “bella”. Not intended for everyday use, the plates were presented to women on occasions such as courtship, engagement or marriage.